Prevent quality issues by clearly communicating expectations and resolving misunderstandings before work begins. Minimize negative consequences of noncompliance to project requirements by proactively finding and addressing issues promptly. Minimize construction issues found during commissioning and qualification, which prevents delays in transfer of care, custody, and control. Save contractors time and money caused by rework of nonconforming installations. Keep project construction on schedule. Ensure an organization that a facility has been built to standards, specifications, drawings. A CQA program does not take quality responsibilities away from contractors and subcontractors. Furthermore, they are still ultimately responsible for the quality of their work, just as they’re responsible for safety. Above all, the CQA program focuses on ensuring quality programs are in place and functioning as intended. An effective CQA program gives an organization a team or an advocate in the field who’s looking out for their best interest on the project. 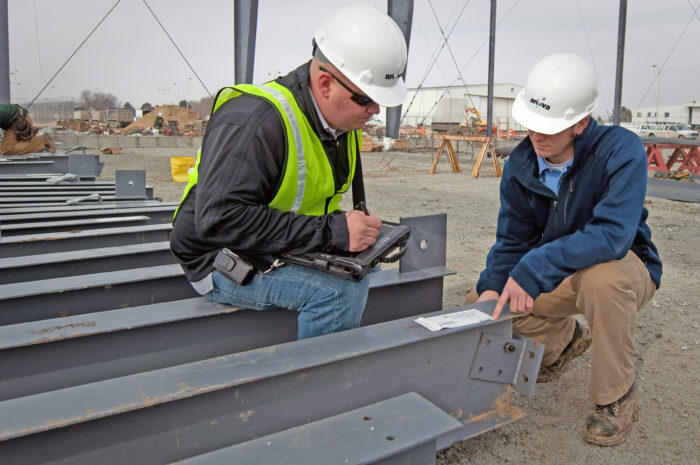 Factors such as cost savings and schedules motivate contractors, and too often organizations are forced to trust that a contractor will do the right thing. Front-end CQA planning to define a project’s methods and staffing needs. The plan also assesses and identifies potential quality risks based on complexity, project demands, and skills and experience of the workforce. A variety of tools, such as failure mode and effects analysis and process hazard reviews, can help assess risk. Prescreening contractors’ capabilities to consistently deliver high-quality services and products. The goal is to understand their strengths and weaknesses. Establishing a defined process for managing incoming materials and equipment to ensure quality and adherence to standards and specification. Ensuring that contractors use deliberate, managed plans to coordinate the inspection, testing, and resolution of issues. Holding preconstruction meetings that focus on ensuring there’s alignment with requirements, specifications, and standards. Using a database to track and monitor construction quality issues and provide metrics for trend analysis and improvement measurement. Performing root cause analysis to identify quality issues and provide timely responses to identified quality trends. Holding periodic field audits and CQA status meetings that are conducted by an organizations CQA advisor. These meetings assess compliance with a contractor’s CQA program and help monitor resolutions of construction quality issues.